2 Friends had such a warm and welcoming atmosphere. There were big round tables with comfy high backed cream chairs. The tables were decorated with cute plants. 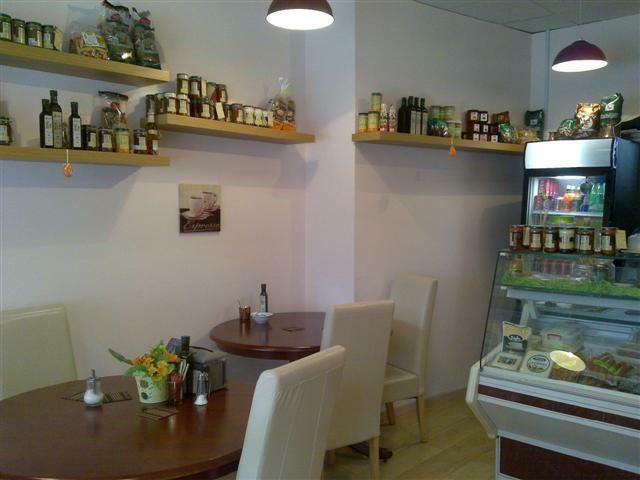 The interior with the wooden floor and the beige walls made the cafe feel very clean and airy. A good range of music was playing in the background. 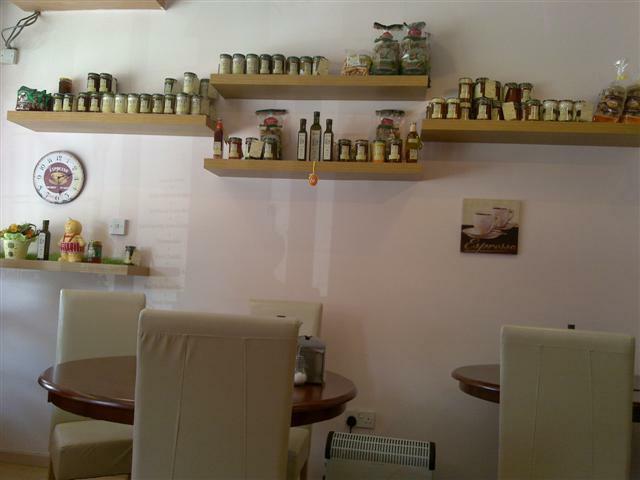 The walls had shelves with various jars of Greek produce including olives, sun dried tomatoes and olive oil. 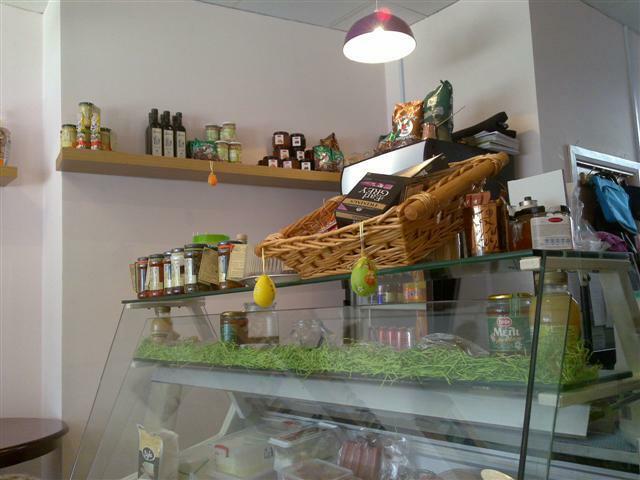 There was a counter fridge which displayed the deli produce of sausages and cheeses. A lot of care and attention to detail had been dedicated to the decor of 2 Friends. The staff was really friendly and gave us service with a smile. He took the time out to make conversation with us and tell us about his cafe and the produce that they sell. Even the other customers randomly chatted to us and to each other. It all contributed to the friendly relaxed atmosphere. So, as we had come for tea, that is exactly what we had. 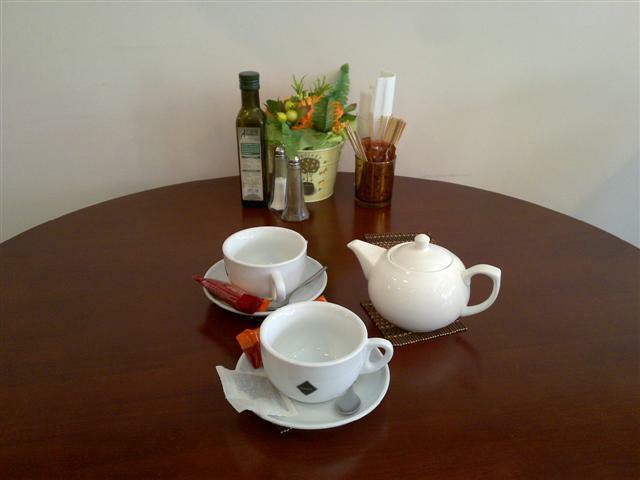 Two cups of the English breakfast tea. The tea was served by the pot. The staff came over with the tea cups and pot and placed the items on the coasters on the table. I thought that this was a nice touch. Another pleasant surprise was that we were given individual packets of chocolate chip and orange biscuits to have with our tea. It was nice that we were also easily given a refill of hot water for our teapot when we asked for it. Even though we did not have any of the hot food, the aroma of the food that was being freshly cooked for the other customers, really did smell nice. The food that 2 Friends had on offer were hot and cold Greek plates, sandwiches, breakfast items and cakes. Everything about 2 Friends was perfect. 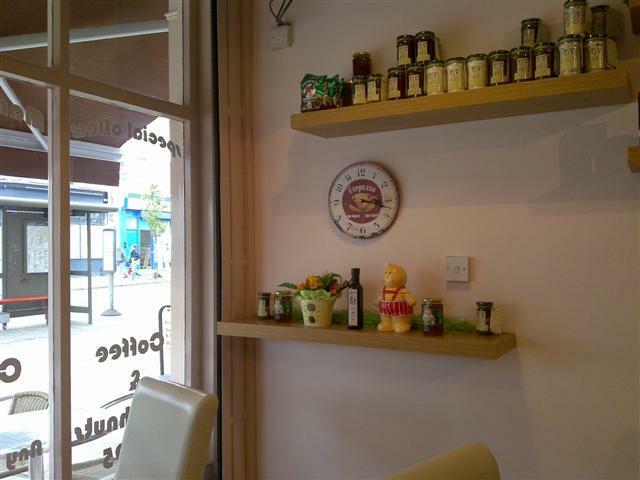 Lovely service, great atmosphere, clean environment and good tea. 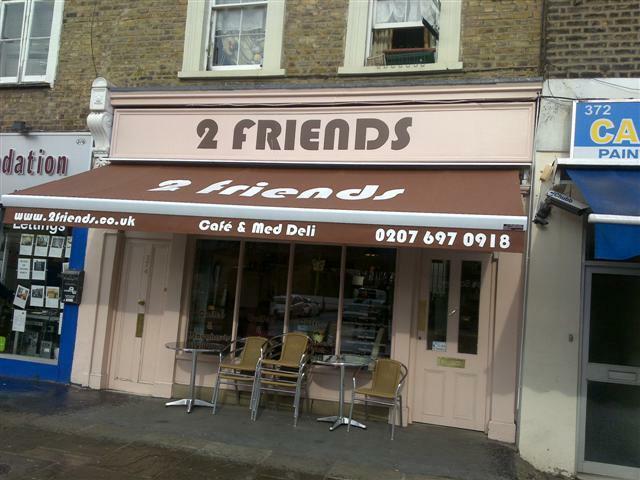 2 Friends is definitely a good addition to the Caledonian Road area and highly recommended to go to.